The RcppBlaze package includes the header files from the Blaze library with disabling some functionalities related to link to the thread and system libraries which make RcppBlaze be a header-only library. Therefore, users do not need to install Blaze and the dependency Boost. Blaze is licensed under the New (Revised) BSD license, while RcppBlaze (the &apos;Rcpp&apos; bindings/bridge to Blaze) is licensed under the GNU GPL version 2 or later, as is the rest of Rcpp. 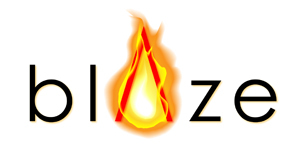 Note that since Blaze has committed to C++14 which does not used by most R users from version 3.0, we will use the version 2.6 of Blaze which is C++98 compatible to support the most compilers and system. If you encounter a bug, please file a reproducible example on github.